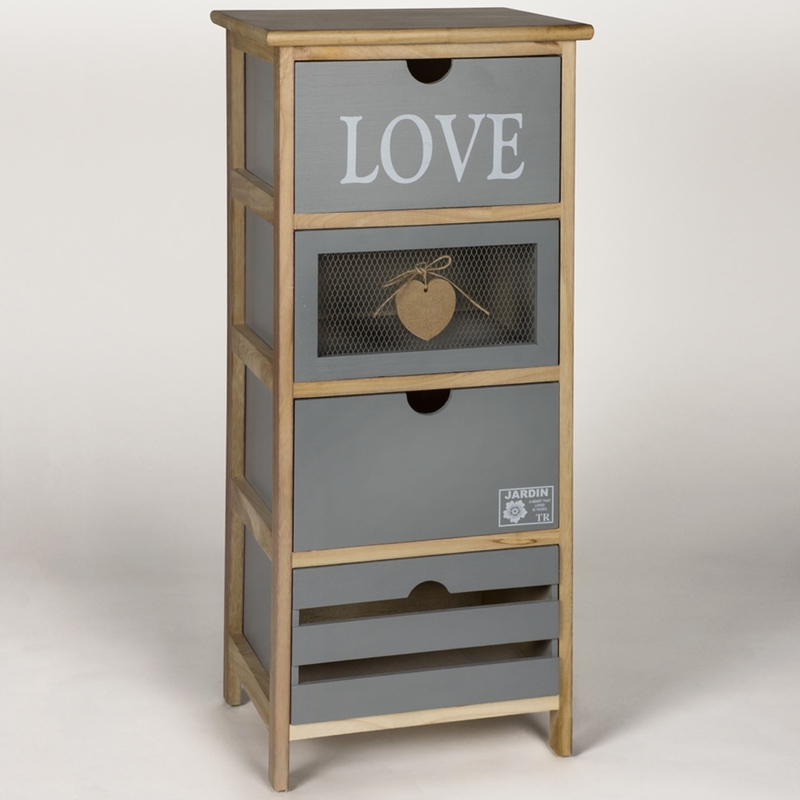 Add a warming and welcoming style to your home by introducing this beautiful Shabby Chic Love 4 Drawer Cabinet. This drawer cabinet features a lovely design that is very unique and fashionable. This chest of drawers has 4 unique drawers, making this Shabby Chic Drawer Cabinet really stand out and look very elegant.